Choosing a foundation is hard. How do you choose the right colour, formula, coverage and price point for you, all whilst either browsing online – the hardest way to colour match, or even at the counter whilst confronted with so many options. It’s definitely a bit of a minefield. 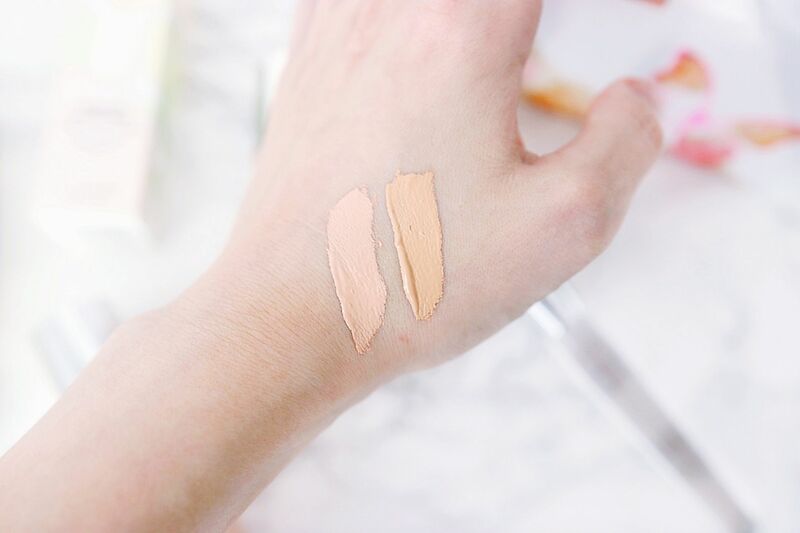 Luckily I do get to try my fair share of foundations in beauty blogging and so today I wanted to report back to you on my findings with Clinique’s Beyond Perfecting Foundation & Concealer. For me nothing has quite matched up to my favourite foundation Giorgio Armani Luminous Silk. Recently Dolce & Gabbana Luminous Foundation came very close, but again this is an expensive option and in the end it did prove to highlight my drier areas, so it wasn’t going to take the spotlight just yet from the Armani. So can Clinique Beyond Perfecting foundation take its place? Here is what I thought. 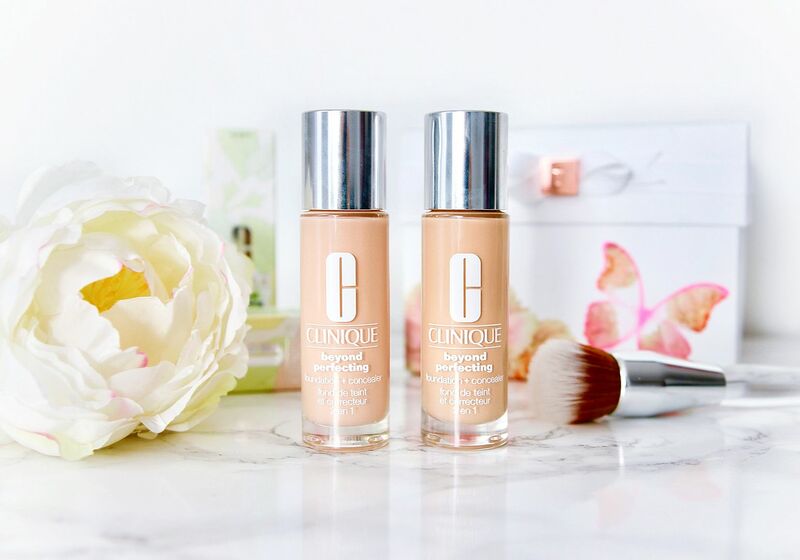 Clinique’s Beyond Perfecting Foundation is a foundation and concealer in one. So with that you’d be thinking it has pretty good coverage? Correct, it really does. The coverage on this foundation is pretty full, not too much though, enough to leave the skin looking natural but enough to cover blemishes and redness. 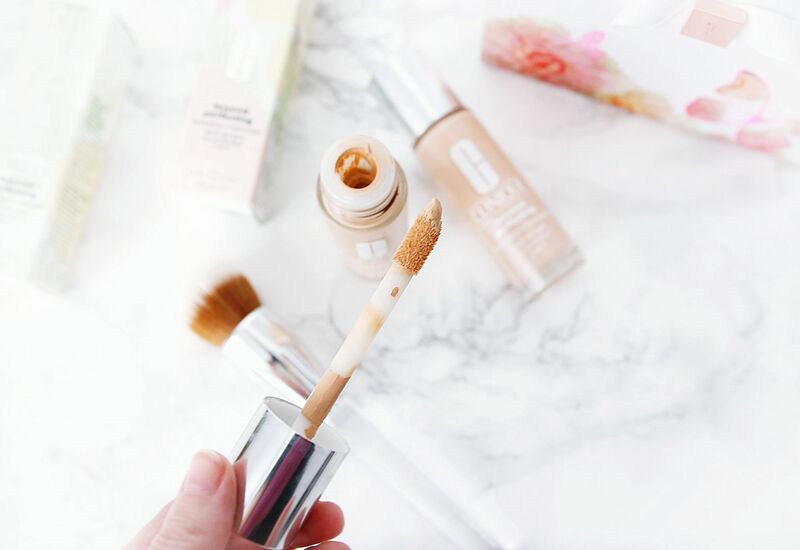 It also doubles up as a concealer for touch-ups throughout the day. So I was very much sold on this point. The Beyond Perfecting foundation applied like no other, the bottle isn’t a pump but a giant, I guess concealer stick, which made it so easy to dot around the face and then blend with a beauty sponge. I absolutely loved this method of application. The only thing with this bottle I’d say is it’s quite hard to tell how much is left compared to a pump, but something I guess I’d get used to. This foundation has over 30 colours available. I tested out two colours 0.5 breeze and 1 linen. 0.5 breeze was ok, but just too light for me and 1 linen was the perfect shade. I was really happy with the colour, it was bright, not too dark and easy enough to make a little darker if I wished with bronzer. I always like my foundation a little darker than my skin tone but not too dark so that I can apply bronzer on top, so this was perfect. As you can see 0.5 breeze is on the left and is more pink toned with 1 linen being more on the warmer side of things. Clinique say this foundation works well for dry/combination to combination oily mix. Which is quite confusing as something that works for dry skin surely can’t work as well for oily? There is no SPF in this foundation, so you will need to additionally apply SPF. I liked the colour of this foundation and the coverage, plus the wearability – it stayed on all day. The application was easy and I was pretty converted. At £25 a bottle it’s a good price also. However I did find that it clung to my more drier areas and highlighted any dehydration lines. If I mix it with primer, it masks this a little, but on the areas where my skin was more normal it looked amazing. I think this foundation is fantastic, a great price point and if you have normal-oily skin it will be the absolute perfect choice, If you have slightly drier/dehydrated skin though I’m not sure it will be. 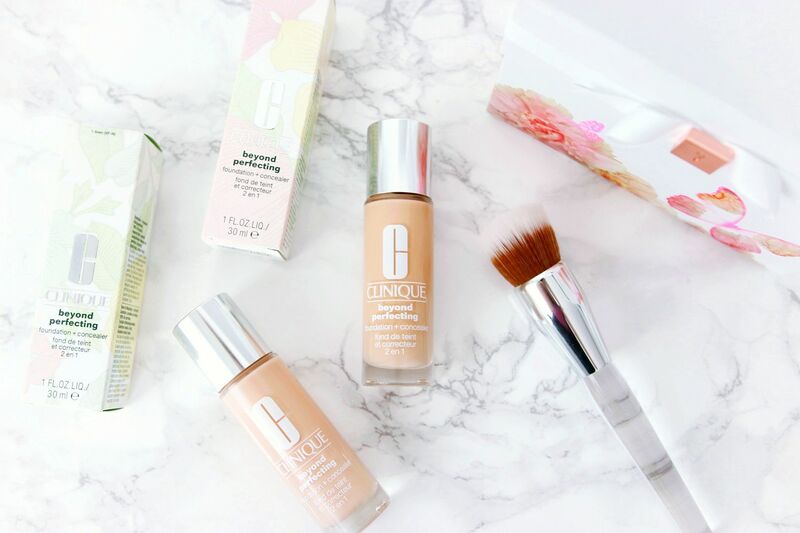 Clinique Beyond Perfecting Foundation & Concealer is £25 and available now.